The week before last I had a chance to connect with Christian Churches Together as they held a two day gathering in Newark, NJ. One of the themes that stood out to me from the New Testament epistles is how consistently the Apostle Paul is exhorting the churches among the various cities to remember one another in love, to show compassion, and to build a sense of unity among the broader body of Christ. 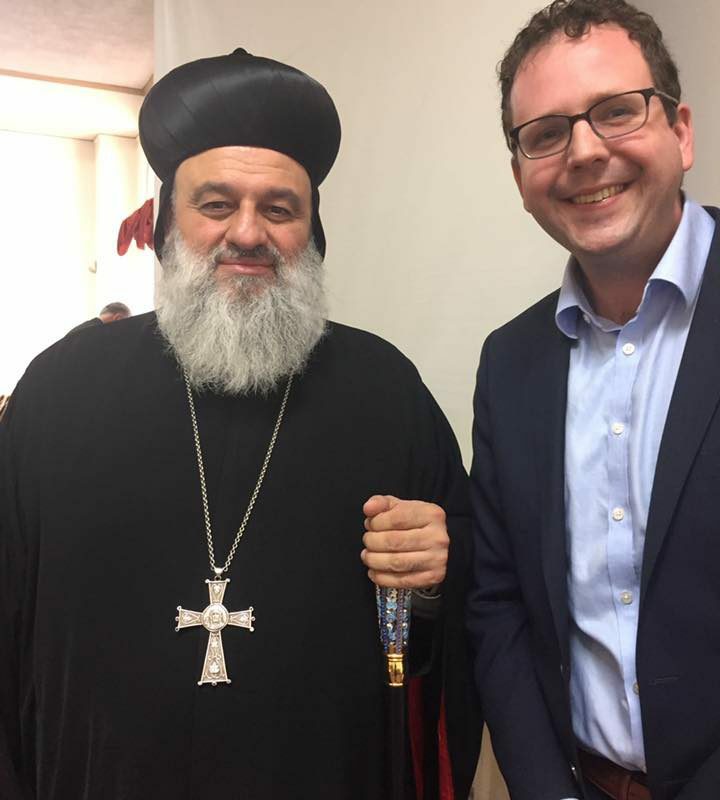 At the gathering in Newark I had the great privilege to hear from, talk with, and meet His Holiness Patriarch Ignatius Aphrem II of the Syriac Orthodox Church. His Holiness was installed as Patriarch in 2014. To hear his living witness of the persecuted church in Syria and Iraq was literally breathtaking. Please join Kingdom Mission Society in regularly praying for His Holiness and the Syriac Orthodox Church and indeed all Christians and those suffering in Syria and Iraq. Meeting His Holiness and reflecting on the Epistles has convinced me more than ever that we are not communicating to our persecuted brothers and sisters that we are truly thinking of them and their well being and doing what the Lord may be asking each of us, if we had ears to listen, to do personally in supporting the broader body of Christ. In our work as Kingdom Mission Society we want to further and encourage and cultivate this kind of internal disposition among society members and supporters. We want to grow in this area of Christian love. If you are moved by events in Syria and Iraq, please consider supporting the relief and development arm of the Patriarchate the St. Ephrem Patriarchal Development Committee either as a church or denominational body, a diocese, or even in prayer or individually. If you want more information or to talk about what you might want to do please contact me directly (click here) and I can put you in direct contact for how to help.